Citrus season is upon us! If there is one thing to look forward to during winter, it's the abundance of citrus fruits the season brings — including delicious grapefruits. Grapefruits, especially the ruby red variety, grow into their prime from November until May each year. Grown primarily in the southern United States, grapefruit trees bloom in the early spring and grow until late fall when they are harvested. The grapefruit receives its name from the way it grows in large clusters, similar to grapes. Grapefruits, like other citrus fruits, are known for their high vitamin C content, but they are also a great source of potassium and fibre, while providing benefits for blood pressure and heart health. They have a distinct, sweet-tart flavour, and are used in everything from winter salads to summer marinades and dressings. 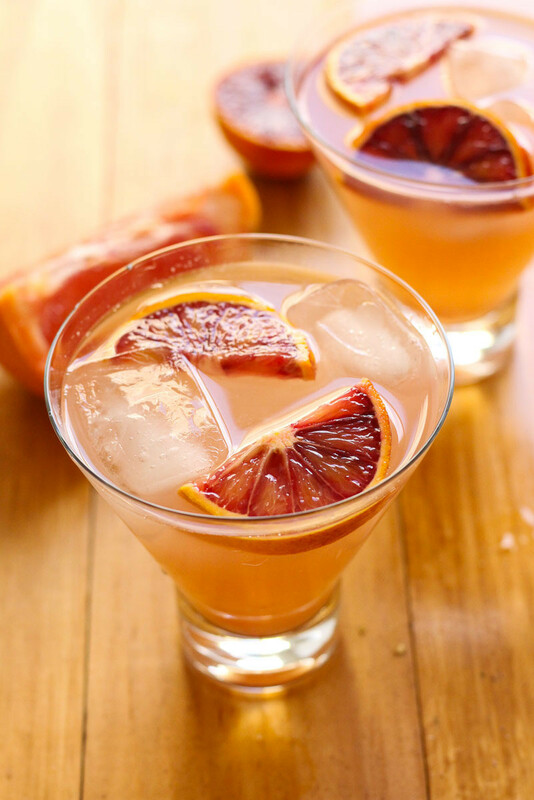 They are also popular in cocktails (like the four-Ingredient grapefruit cocktail below), given their unique flavour profile. Choosing a grapefruit may seem straightforward, but it can be difficult to tell which ones have reached peak ripeness. Choose a grapefruit that is softer and squishier, a sign of ripeness, but be sure to avoid one with any bruising. A good rule of thumb is also to avoid grapefruits with any hints of green or pale yellow, as those may be unripe. Note: Be aware that, like many of Canada's imported foods, grapefruit prices have been on the rise (from $2.83/kg in 2011 to $3.43/kg in 2015). It's always worth checking the discounted produce section for a deal. 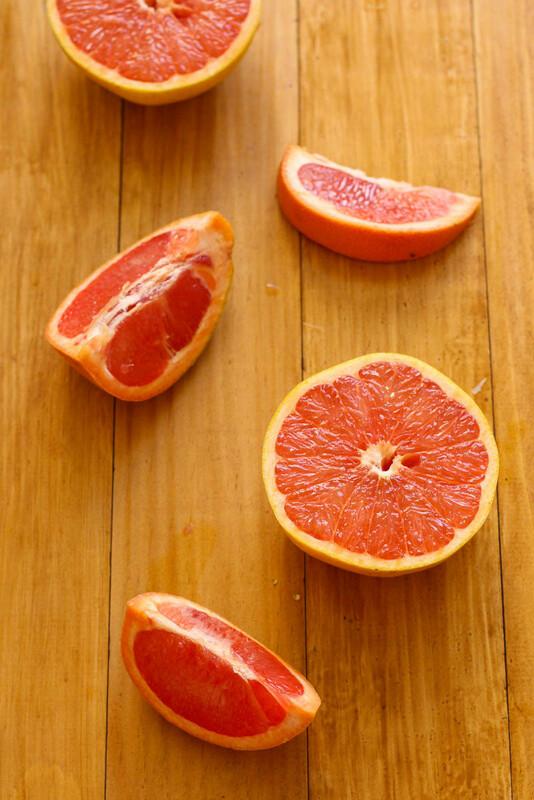 Grapefruit is a hardy winter fruit, but it's grown in a warmer climate. So keep them uncut on the kitchen counter in your fruit bowl until it's time to use it. Only refrigerate a grapefruit if it has been cut open. At that point, you can store the grapefruit in a plastic bag to eat within three to five days. Grapefruit is mostly thought of as an accompaniment to sweeter dishes and desserts, but that no longer rings true in the foodie community. Look out for grapefruit used in savoury salads and marinades, but consider serving grapefruit after a meal as well — it's a palate cleanser. Grapefruits have been found to interact with at least 85 prescription drugs, resulting in serious side effects in many cases. Check whether your prescription drugs interact with grapefruit before consuming the fruit or its juice. If you are unsure, ask your pharmacist or doctor. Using a citrus juicer, juice one grapefruit, removing seeds and pulp by straining. Add 1.5 oz of vodka to each glass, and add a handful of ice. Add grapefruit juice and sparkling water to each glass. 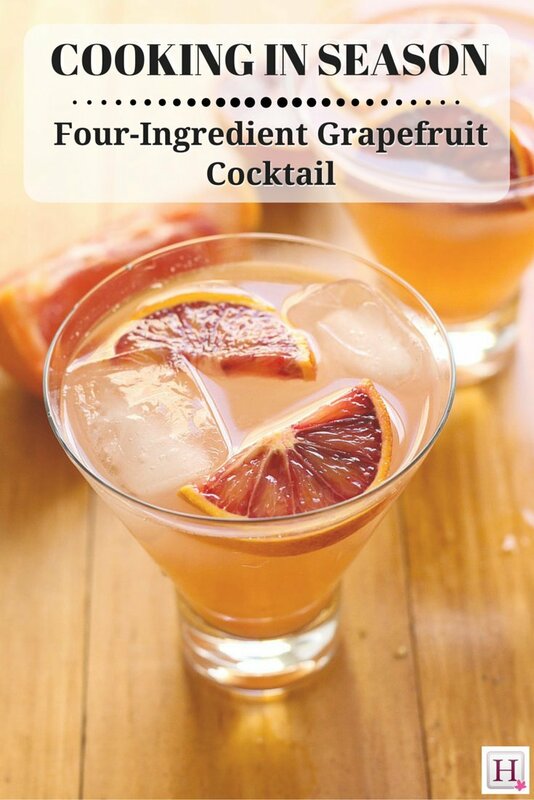 Garnish with grapefruit, and blood or navel oranges.